Pat Smith stood down last week over controversy about his pay packet. 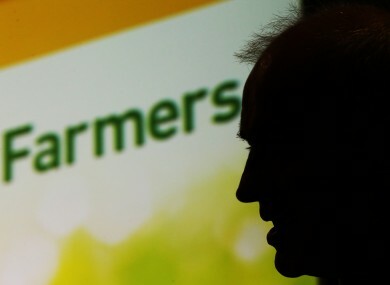 THE IRISH FARMERS’ Association has not ruled out its former top bureaucrat walking away with a pension pot of €2 million on top of a severance package after he stepped down over a pay scandal. IFA general secretary Pat Smith resigned last week after sustained pressure over the non-disclosure of his salary. It was later revealed he was on a package worth almost €1 million for 2013 and 2014 combined. The organisation’s president, Eddie Downey, whose salary was revealed to be €147,000 a year, has also “stepped back” from his role while a review of the peak farming body’s remuneration is carried out. Today the Irish Independent reported Smith, who had been with the organisation for 25 years, would walk away with a €2 million pension pot with a possible, further ‘golden handshake’ still under discussion. The IFA’s total operating budget for last year was €12.9 million. In an interview broadcast on Newstalk Breakfast this morning with Lunchtime presenter Jonathan Healy, IFA deputy president Tim O’Leary said his “clear understanding” was there had been no “finalised agreement reached on (Smith’s) package”. “I think it’s governed by very strong labour law, we have duties to our employees here and we will be fair and just to all bodies in this negotiation,” he said. The IFA has appointed the organisation’s former chief economist, Con Lucey, to review pay and corporate governance at the organisation. He is due to report back in three weeks to the group’s executive council. The probe will look at Smith’s pay package from his appointment to the top role in 2009 until his resignation this year, as well as remuneration for the organisation’s president and deputy president. Sinn Féin has called for salaries within all publicly funded or membership-based groups, like the IFA, to be disclosed, while Tánaiste Joan Burton also said leaders in similar organisations should consider revealing their pay packages. Email “The IFA's top official could be walking away with a €2 million nest egg”. Feedback on “The IFA's top official could be walking away with a €2 million nest egg”.